Mozilla is working on a new web browser for standalone virtual and augmented reality headsets, a sign that the Firefox maker doesn't think the VR/AR movement is going away any time soon. "We believe that the future of the web will be heavily intertwined with virtual and augmented reality, and that future will live through browsers," Mozilla said in a blog post announcing the browser, called Firefox Reality. Built from the ground up for VR and AR (or mixed reality, as Mozilla refers to it), Firefox Reality is intended to provide an open, accessible and secure way for people to use the internet when donning a standalone headset. Standalone headsets, by the way, are devices that don't require a PC or smartphone to run. 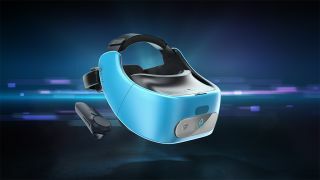 Current devices include the HTC Vive Focus, a China-exclusive product that is launching worldwide later this year, and the not-yet-available Oculus Go. In addition to putting a premium on privacy, Firefox Reality will be cross-platform, meaning it will work on a variety of standalone VR/AR headsets and software platforms. It's also open source, so it will be easier for manufacturers to add Firefox Reality to their headsets. This isn't the first time Mozilla has jumped into the VR/AR arena; it already supports WebVR, WebAR and A-Frame for experiencing and building web experiences in virtual and augmented reality. There's no word on when Firefox Reality will be available, though a demo of the browser is out now for those with an HTC Vive Focus. It's in: our HTC Vive Pro review!